You are in the store with your toddler and the little one wants a bag of sweets. You say, "No, you have had some sweets!". Suddenly your toddler holds their breath. They may turn red and pass out. You get the fright of your life. 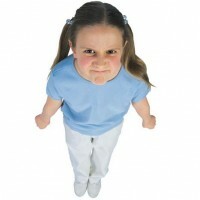 Babies from about 3 months to children of about 4 years can hold their breath during a tantrum. A child may even faint. Breath-holding spells (BHS) are attacks where children suddenly stop breathing. They can even lose consciousness. If this happens, your child will soon recover. If you experience such an episode with your child, you will probably be scared. But breath-holding spells are innocent. They are never deadly and your child always comes back to you. These episodes are most common in babies from about 3 months to children of about 4 years. How does a BHS develop? The emotions of the child run so high that it holds the breath and turns blue. Many parents immediately think it's an epileptic attack. A BHS never takes long, from a few seconds to about a minute. There are children who have multiple attacks a day, other children may only do it once or twice a year and other children never have one. Usually occurs during drift or crying, in pain and anxiety. Keep yourself calm, do not panic. Put your child on his side and stay with him. Your child will breathe again. In some rare cases there may be a more serious underlying condition. Immediately call the emergency services and perform mouth-to-mouth resuscitation.